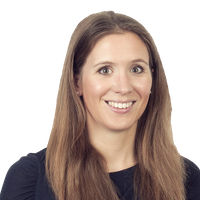 Kate advises on a range of employment issues, including public and private corporate transactions and outsourcings, and restructurings. Her contentious experience includes unfair dismissal, whistleblowing and discrimination claims. pensions issues in respect of corporate transactions. She also advises on executive remuneration issues, including on the UK Financial Conduct Authority and Prudential Regulation Authority remuneration codes, collective redundancy exercises and the enforceability of restrictive covenants. Kate has a particular interest in financial sector pay structures and the senior person’s regime. In 2010 Kate spent six months on secondment to the London Organising Committee of the Olympic Games and Paralympic Games, during which she advised on the hiring of the executive producers of the opening and closing ceremonies, and on the human resourcing of the ceremonies. In 2014 Kate spent six months on secondment to the in-house EMEA employment law team of a banking client. The regulatory reference regime: Are you reference ready? The new regulatory reference regime came into force on 7 March 2017.